We did it! It’s over! Yes, it’s pretentious. Yes, its biblical references are naked and obvious. Yes, eating babies is wrong. I don’t care. No film in 2017 provoked as intense an emotional reaction from me as Darrenofsky’s nightmare house party, and with the kind of year we’ve all had, I was glad for a reminder that I was still capable of feeling real, genuine emotions. mother! is awkward, uncomfortable, and otherworldly, a movie that pushes its audience to confront things inside of themselves that they might not be ready to experience (or is that just me?). 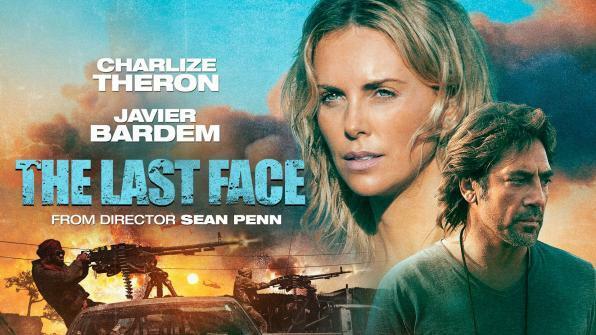 I loved Javier Bardem’s charismatic narcissist (a characterization made all the more controversial if you factor in the religious angle — God is a careless, self-absorbed prick) and Jennifer Lawrence’s constant and manic oscillation between glowing pride and gut-wrenching terror that culminates in some truly agonizing, tear-out-your-hair mayhem. mother! is an angry experiment in controlled chaos that deserves (in fact, provokes and invites) its polarized reception, but it’s sure to evolve into a cult classic. 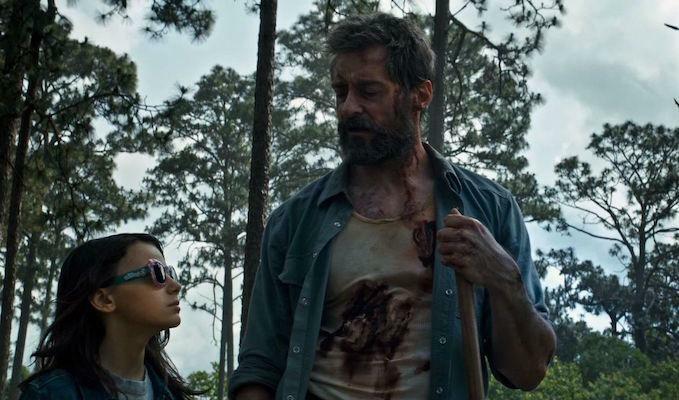 Though it’s often paired with 2016’s equally violent and subversive Deadpool as proof that the superhero genre can offer more than just charming, PG-13 diversions, Logan is something more that that. It’s a western, of course, a close parallel to Eastwood’s Unforgiven in which Shane is directly referenced a number of times. But it’s also a tale of the future — a future that finds Wolverine (Hugh Jackman) and Charles Xavier (Patrick Stewart) fighting demons far more dangerous than the usual crop of evil mutants (though that happens, too). As the two legends finally approach their twilight, all that remains is for them to guide Dafne Keen’s Laura — a pint-sized Weapon X — to a mythical promised land where mutants might be safe. But will they ever really be safe? No one can know for sure. 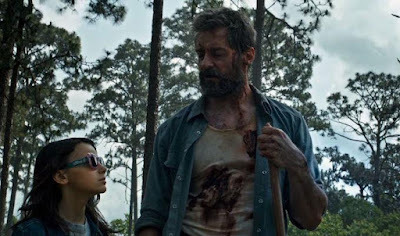 Logan succeeds because it’s about pain compounded over time, about taking one final stab (sorry) at a worthwhile life and hoping for the best. The film appropriately treats death as a release from untenable burdens, an important and necessary thing that gives meaning to what came before. Call me crazy, but I find that comforting. The most talked-about sequence in Personal Shopper is probably the one in which Maureen (Kristen Stewart, in another career-redefining performance), traveling by train between Paris and London, receives harassing text messages from an unidentified sender. She indulges their provocative questions at first, maybe because she’s bored, or maybe because she hopes that the messages might be coming from Lewis, her recently-deceased brother. Regardless of their origin, there becomes something exhilarating about those three mysterious dots on her screen, and the fledgling medium finds herself more and more willing to open up to the unknown over the course of her trip. This is the root of Olivier Assayas’ pseudo-ghost story, a film that ends up being far more interested in the voices in our heads than in those beyond the grave. Presented through delicate sound design and intimate cinematography, Personal Shopper is haunting and voyeuristic, almost the cinematic equivalent of catching yourself masturbating. Who’d have known that’d be such a good thing? 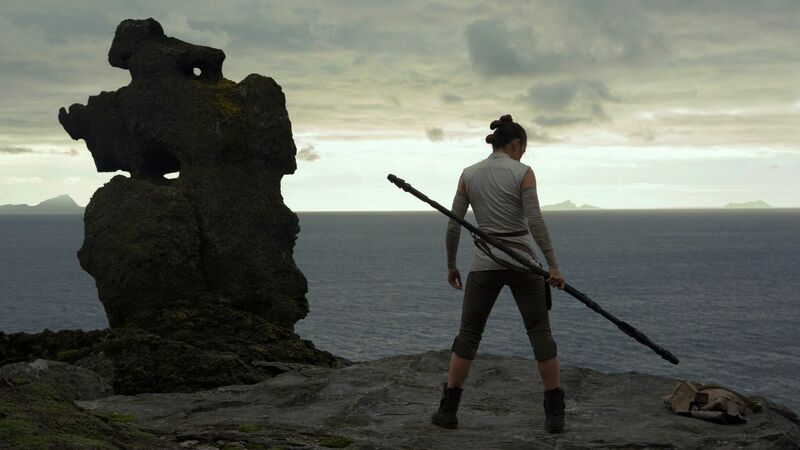 Like mother!, Rian Johnson’s opening foray into the Star Wars universe is at times a challenging mess, a movie that often buckles under the weight of its own ambition without ever breaking entirely. While the Rebellion storyline suffers from some clunky execution (it’s not the casino stuff; it’s Holdo. Why isn’t she Leia? ), the soul of The Last Jedi is in Rey’s conquest over the sins of her (spiritual) father, Luke Skywalker. The evolution of her complex sibling/teacher/lover relationship with Ben Solo (and, by extension, herself and the Force) shows how willing this new Star Wars is to look inward, a (as our own Alejandra Gonzalez pointed out) greying of the black and white morality that has defined the series for so long. Mark Hamill embraces some of the best Luke material he’s ever had to work with, fleshing-out his signature character in risky and satisfying ways. Don’t let the fanboys steer you wrong; this is the Star Wars movie we desperately needed, one that lets go of childish things and embraces an unknowable future. I’ve noticed that a lot of the movies that stood out to me this year have been those that made me feel uncomfortable or introspective (again, it’s been that kind of year for all of us), so it seems odd that probably my favorite movie of 2017 is such a big, warm blanket. Still, the fictionalized story of real-life couple Emily V. Gordon and Kumail Nanjiani’s unconventional courtship is all about introspection, about how our own search for identity influences (and sometimes sabotages) our relationships with those we love. Some of the year’s best performances are in The Big Sick, and its willingness to deconstruct romantic comedy tropes without dismissing them is as refreshing as it is vital. 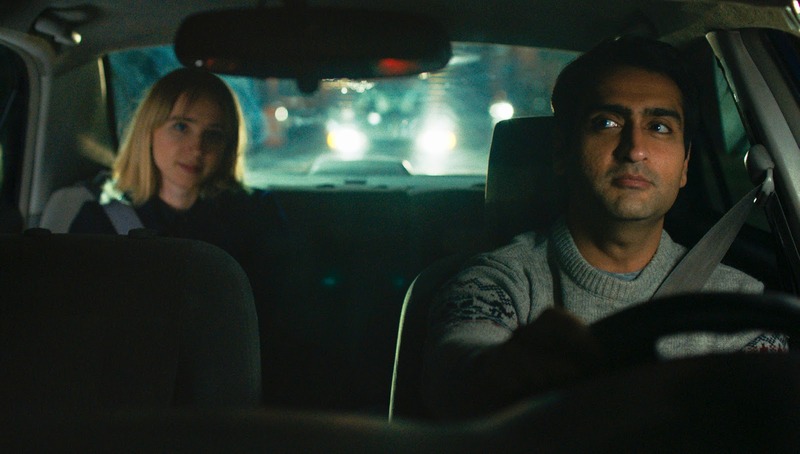 Holly Hunter continues her run as one of the world’s best people as Emily’s whip-smart and impossibly strong mother, and Kumail’s sad little post-rejection breakdown at the drive-thru window deserves to be in a museum. The giraffe, the bag of devotion, the cemetery photo shoot, the one-man show, and, most important of all, the 9/11 joke. The Big Sick is an all-timer. Colossal, Lady Bird, The Shape of Water, T2: Trainspotting, Get Out, Baby Driver, Ingrid Goes West, Raw, Their Finest, Wind River. Brigsby Bear, Call Me By Your Name, It, Blade Runner 2049, Phantom Thread, Molly’s Game, Three Billboards Outside Ebbing, Missouri, The Florida Project. Great list! I forgot all about the drive-thru scene in The Big Sick. I need to see that movie again soon. Great list, Rob. I think I need to give mother! a chance. I too didn't love the Holdo stuff on a first viewing. On a second I decided it was in the movie for three reasons: 1) If it had been Leia, we would have assumed she had a plan, because we've spent so much time with her. Having it be an unknown put us in the Poe's boots, and made us feel what Poe felt every step of the way. 2) Having Leia sacrifice herself wouldn't have been much of an arc, because, again, we know her so well that we know she'd be willing to do that. Having it be someone who we initially thought was a coward made it so much more powerful. Anyways, glad to see this one so high on both your and Adam's lists! It was def my favourite movie of the year. Now I gotta go Netflix Personal Shopper and convince my friends to watch Birth of the Dragon with me. I like your reasoning, especially in your second point. I’ve only seen the film once, so I’m hoping some of those little bits come together for me more in subsequent viewings. I really think that the loss of Fisher for IX really makes her second act coma more frustrating. But, as you said, there’s little we can do about that. Also, on points one and two, we've seen Poe freelance under Leia's command, to the point of insubordination (but always in service of what he thought was the most valiant course of action). However, Poe wouldn't instigate a mutiny against Leia's command, even if he thought it would serve the most valiant course of action. Poe reveres Leia. Holdo needs to be there as a command figure Poe doesn't trust, so that he does mutiny, so that when Leia regains her faculties, she can summarily smack him down, and so that Poe can see that he was wrong about Holdo, learn his lesson, and make the right call later on the salt planet. My complaint is more how Holdo affects Star Wars 'Canon' than the movie - but if entire fleets can be taken out with a single ship's hyperdrive - doesn't that make all the sacrifices the rebellion made to destroy the three death stars pretty meaningless? X-wings have hyperdrive. Holdo's ship was like an aircraft carrier, while an X-wing is like a small fighter plane. I think the damage Holdo did with her ship's hyperdrive was highly owed to the ship's mass and stored fuel, rather than just the speed of the collision or something about the nature of hyperdrive. Additionally, those larger ships are certainly more scarce (and harder to produce) than much smaller ships like X-wings and bombers. I'm almost feeling bad for putting The Big Sick at my number 2 now instead of 1 after your reminder of all of the great performances AND scenes in that movie. The bag of devotion is my favorite. I also loved his teary speech at the stand-up show. You know, how she likes birds and all that. What a great movie.